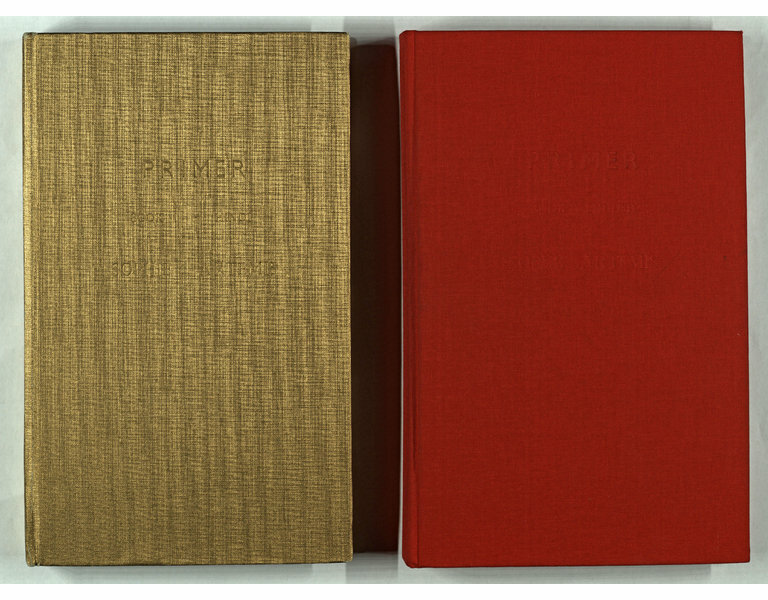 This unique artist's book comprises a primer or alphabet book in two volumes. Watercolour drawings on hand made paper illustrate the letters of the Hindi and English alphabets respectively. Book 1: Hindi is bound in gold cloth and includes translations into English of the Hindi words depicted. The illustrations of animals and objects (examples: tamarind; lotus; Ganesh; sitar) are depicted using the vibrant colours of the Indian subcontinent. 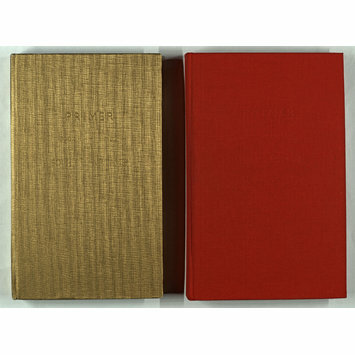 Book 2: English is bound in red cloth and illustrates words familiar from English alphabet books (examples: apple; ball; cat; duck) using more muted tones. "Identity motivates my work: Identity of people, places, cultures, words and objects in relation to each other and in particular the resonance or friction they create between themselves" -- Artist's statement in the catalogue of the 2nd Artists' Book Fair, 21-23 Apr. 1994, Royal Festival Hall, South Bank Centre, London. Unique artist's book (alphabet book) in 2 volumes in Hindi and English. Watercolour drawings on handmade paper illustrate the letters of the alphabet in English and Hindi. Book 1: Hindi is bound in gold cloth. 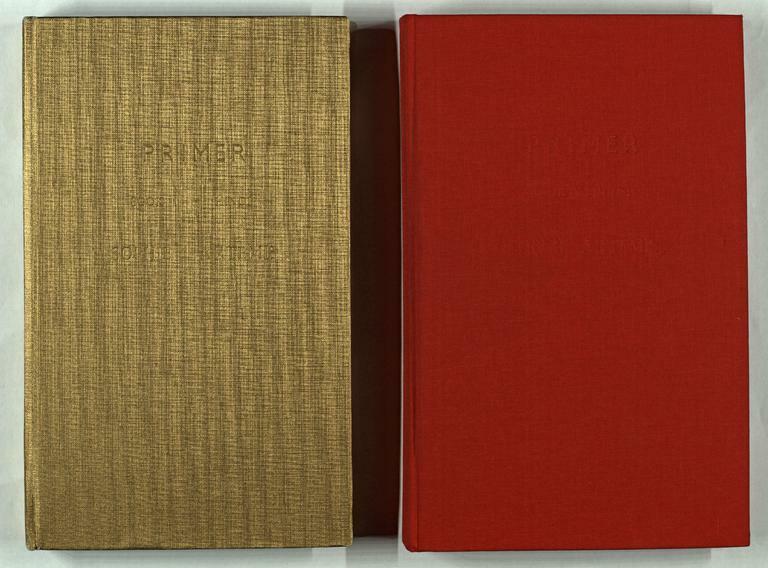 Book 2: English is bound in red cloth. The volumes are in a blue slipcase.